If you missed all the #13NTC, NTEN‘s Nonprofit Technology Conference, action in snowy Minneapolis, never fear, here are five social media tips you can use. Learn who your social media audience is to maximize your chances of getting the responses you want from them: Knowing who your audience is on social media is key to understanding how to effectively communicate with them according to “We Heart Social Data.” If your organization is already using CRM (customer relationship management) software, then use this same software to add social media account information for your supporters. Understanding your supporters is key to sending them the right ask at the right place and time. Understand user experience and behavior to get your audience to take action: Our social media outreach succeeds when we can get our supporters to take a desired action (i.e. donate, volunteer, sign a petition). Understand and use the Fogg Behavior Model as your guide to changing online behaviors as suggested in “Creating Habits for Social Change.” Motivate your audience with a compelling story that illustrates how their actions can have an effect. Make the action you want your supporters to take easy to do. For instance, if you want to solicit donations at an event then optimize your donation page for mobile. And, finally, employ a trigger that will cause your supporters to act. Use social sharing or fundraising tickers to prompt them to act. Humanize your brand by getting your board involved in your organization’s social media activity: Many organizations struggle with achieving organizational social media buy-in particular when it comes to their board members. The solution offered in “Clt. Alt. Del. : Rebooting Your Digital Community Building” is to add social media to the agenda of your next board meeting. While you have your board together ask them to log into their Facebook accounts, which most people have nowadays, and direct them to like your organization’s fan page. Simple and easy. Communicate the value of social media by articulating how it fits into your organization’s goals: If you’re having trouble getting your organization’s leadership interested in social media it might be because they don’t know how it translates into the mission. “Organizational Leadership with Social Media Insights” suggests using your web analytics tools to gauge how social media is translating into the online actions you desire from supporters. In Google Analytics you can set goals to track things like whether someone visits and completes a task/form on your website. Track those numbers, understand their dollar value (if your organization assigns such values), and add those figures into your social media reports. 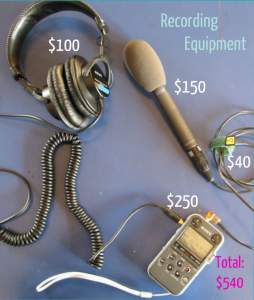 Use audio for compelling, and affordable, digital storytelling: “What Public Radio Can Teach Nonprofits About Effective Storytelling” made the case for the power of audio storytelling. 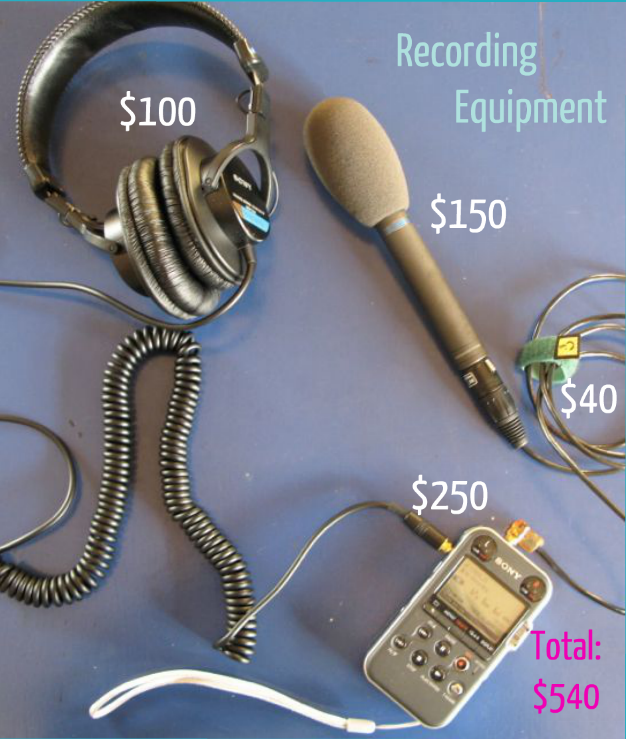 First, it’s worth considering that compared to video, audio recording and production is far more affordable (basic equipment to produce professional quality content is around $500). Secondly, audio storytelling can often bring out more from your subject without the pressure cameras can create. Audio storytelling is also useful for subjects that want or need to protect their identities. Finally, audio stories provide content for your website, as stand-alone blog posts, or to accompany photos for audio slideshows.